I walked past the new Fairfield Inn & Suites on 3rd Avenue and Butler Street and was pleasantly surprised to see that two new bike racks have been installed on the sidewalk right outside the entrance. 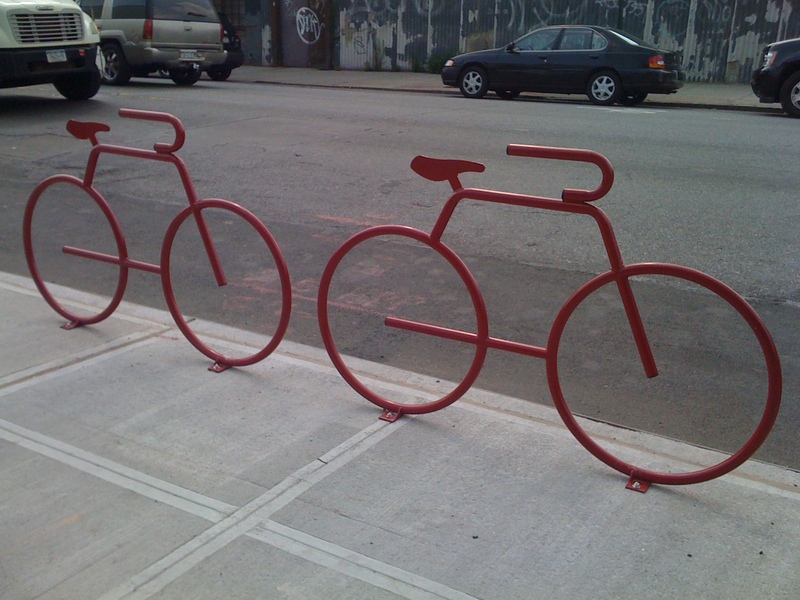 These aren’t the typical U-style bike racks seen elsewhere in the city, and that’s a good thing. It’s nice to see an representation of bicycles given such a prominent spot on a busy avenue, especially since so many cyclists use 3rd Avenue to travel to and from the Dean and Bergen Street bike lanes. Third Avenue isn’t exactly scenic, which is one reason the hotel might want to offer its guests bikes to borrow or rent. 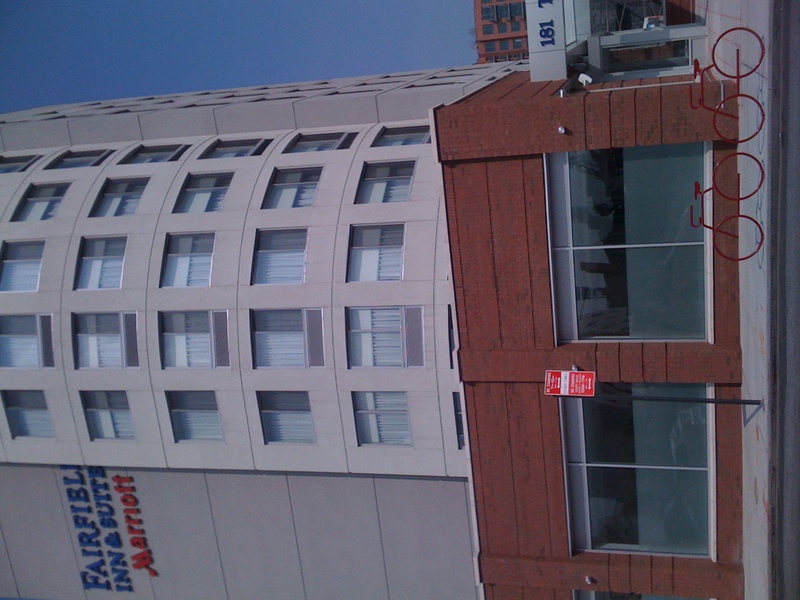 The hotel’s location is within easy riding distance of everything from Brooklyn Bridge Park to Prospect Park. Public Bikes, which I’m partial to, partners with many hotels so that guests can borrow a bike during their stays. The new hotel has an abundance of car parking on both sides of the building, which is a shame since on-street parking is generally abundant on and around 3rd Avenue. But given the traffic near Flatbush and Atlantic, anyone who drives from out of town to see relatives in Park Slope or Boerum Hill may have no choice but to leave the car in the lot and grab a bike if they want to get around during their visit. So what do you say, Marriott? Want to be one of the first hotels in Brooklyn to offer free bikes? ← See? Iris and I love bike lanes!